I’m interviewing Susan MacNicol today on my LJ as part of her two year anniversary celebrations with Kirsty Vizard for Double Alchemy. There’s also a rafflecopter giveaway. I’m hosting Susan MacNicol on my LJ today as part of her blog tour with Kirsty Vizard for her new release Flying Solo which is book 6 of her Men of London series. I’m interviewing Gigi Kern today on my LJ as part of her blog tour with Kirsty Vizard for her new release Finding Aaron. There’s also a rafflecopter giveaway. I’m interviewing Revella Hawthorne on my LJ today as part of her tour with Kirsty Vizard for her new release A Royal Rebellion. There’s also a rafflecopter giveaway. 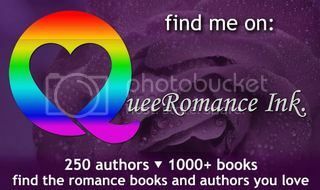 I’m hosting Revella Hawthorne today on my LJ as part of her blog tour with Kirsty Vizard for her Bred For Love series. There’s also a rafflecopter giveaway.